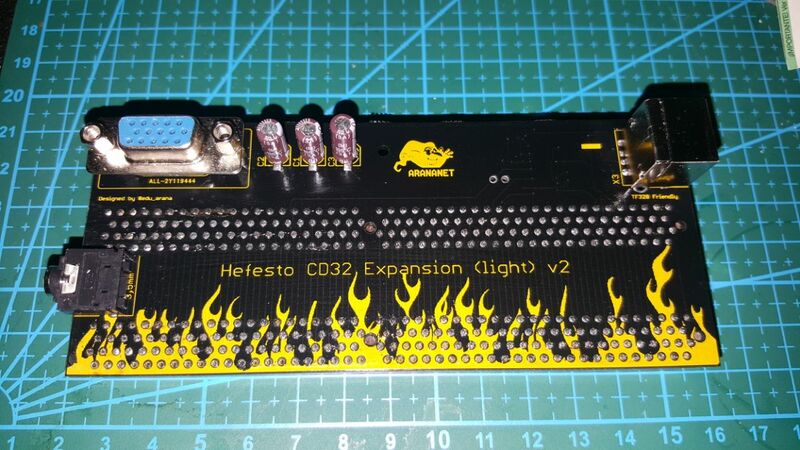 New version of my CD32 riser. 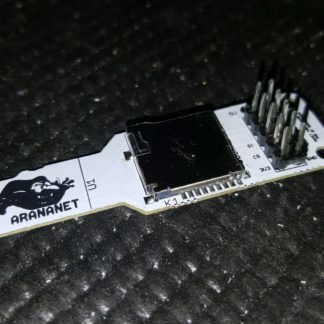 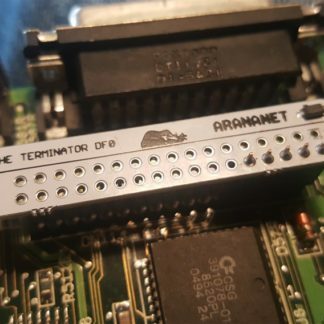 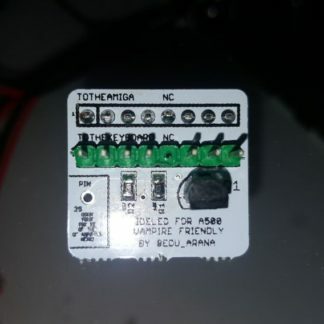 This goes on the back of the cd32 and provide connection for VGA monitor (15khz), ps2 keyboard, 3.5mm audio output, and an additional edge connector to plug an upgrade. 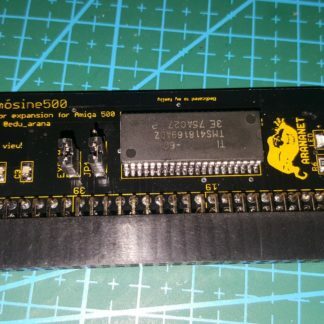 This riser works great with the last RAM+IDE upgrade made by S. Leary, the TF328. 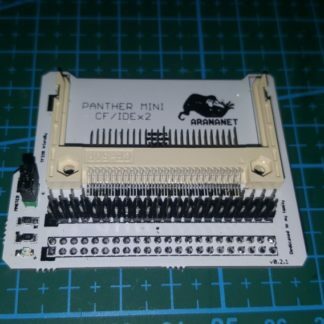 Including h-dmi passthrough (for futures upgrades) also includes a prototype to connect Indi-MK2 for cd32 to output h-dmi instead of DVI. 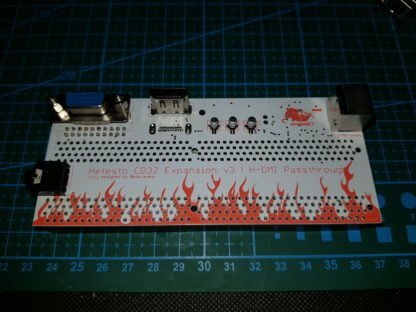 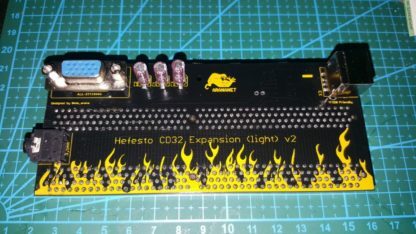 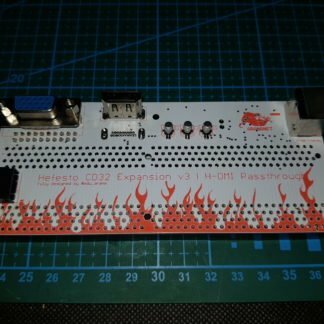 Hefesto Cd32 riser board is an original design by Edu Arana, and is not based on any other riser. 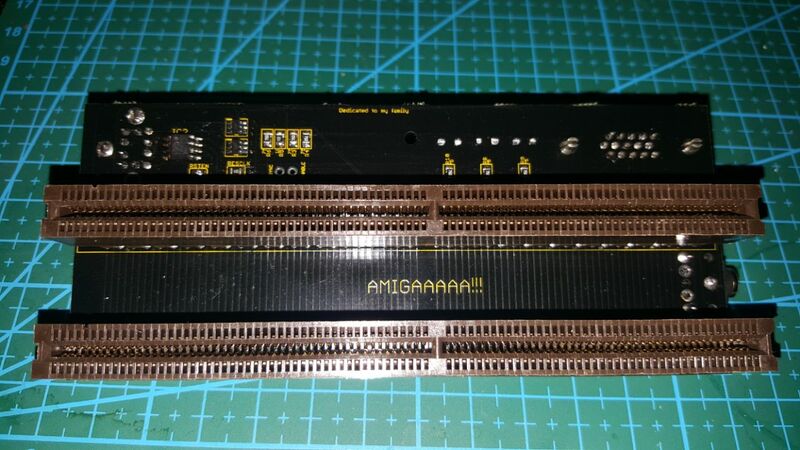 Only the Amiga CD32 Wall Street Expansion board was used to get the required signals.